Before buying any products or services it is important to understand what it is exactly that you are buying and the benefit of your purchase. Equally, when deciding a Search Engine Optimisation Company in Sydney, it is very important to understand the benefits of search engine optimization, how search engines work and how your website can be ranked on the first page of Google. Search Engine Optimisation also referred to as SEO? The question often raised by clients is “Why do I need SEO Services or how can search engines help me generate more business”? As explained at the start, millions of people are using search engines to look for products and services. If they are not able to find you, you are losing on a lot of potential customers. SEO is not the only way to generate business, however it is one of the most powerful and efficient way to increase your sales. Alternatively, you can learn and use SAO through the inline tutorials to optimize your website. This is probably the most difficult question to answer straight away. Present ranking of the website, a website which is not in the top 100 results will need more effort to be pushed on to the first page of Google. The competition of the keywords you want to target? A keyword like Insurance Company Sydney will cost more than Low Back Pain Treatment Sydney. How much effort the competitors have put into rank themselves? It will cost more if your online competitors are very active and aggressively promoting their websites on Google. What is the present state of the website? 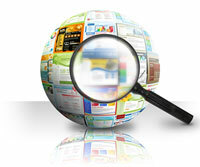 Website with little content and lots of coding errors will need more effort make them search engine friendly. If you would like to know what it would cost to optimise your website, contact us, we offer on obligation free Website Analysis Report to all our clients..
How to Increase Productivity using IT Services?